Last summer was dominated by Neymar’s sudden decision to leave Barcelona on a world record breaking deal and there is growing concern around Paris Saint-Germain that the player will make a similar revelation in the coming transfer window. All had seemed so well after Les Parisiens chairman Nasser Al Khelaifi visited the winger personally in Brazil following his season-ending foot injury, earning the word of Neymar Snr., the player’s father and agent. However PSG are becoming disconcerted by a sense that all is not as it seems and consider Neymar Snr.’s role in potentially unsettling his son to be key. Both parties know that Real Madrid lurk around the corner for the Brazilian star, preparing a Galactico esque approach for a player who they will move for, should the opportunity arise. Thus, Los Blancos are clear in their minds that they won’t start a war with their French counterparts and will only enter negotiations if the club decide they are ready to sell Neymar. While this is out of respect for PSG, it is also a contractual matter as the former Barcelona forward has no buy-out price to speak of until the following summer, when a clause worth 222 million euros becomes active; the same fee he moved for in 2017. Real would be ready to wait until then if required, but they foresee a reality where Neymar can be signed in the coming months. 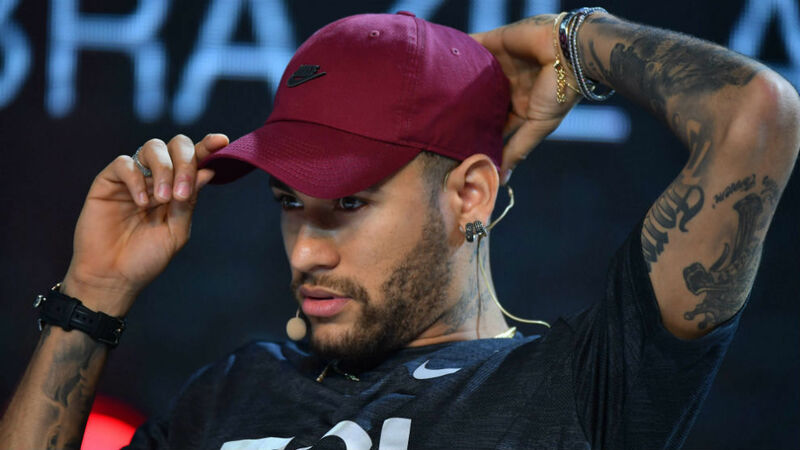 PSG had hoped for Neymar to become an instant hero across the whole of their fanbase and beyond, however life has not been that simple, given his refusal to step foot outside of Brazil during his injury rehabilitation. Setting up camp in Sao Paulo, he missed the team’s title celebrations for both Ligue 1 and the French League Cup, with Les Parisiens chiefs acknowledging that he won’t return to France for at least another month. In the meantime, if the club want to meet their player, they have to go to him, not the other way around. And PSG are wary in upsetting Neymar as they are yet to prove to him that they are capable of lifting the Champions League. Together with Kylian Mbappe, the Brazilian was meant to be the talisman of a side that could conquer Europe and earn him individual accolades along the way. This is yet to occur and dominating French football will only take him so far. News of Madrid’s interest in Neymar first broke in early January, amid a terrible run of results which forced the club hierarchy to seek out a megastar that could turn the team’s fortunes around. Neymar fit like a glove, a signing that excited the fans and one that looked plausible following the positive noises that emitted out of the forward’s camp at the prospect of pulling on the Blancos shirt. Since then, Los Merengues have remained focused on bringing him back to Spain and will hold him up as the cornerstone of their summer market plans until they are told otherwise. PSG continue to bat away questions about their record signing’s future and know full well that Real have ears in both Paris and Sao Paulo as the Ligue 1 champions begin to fear being on the wrong end of a mega transfer saga.